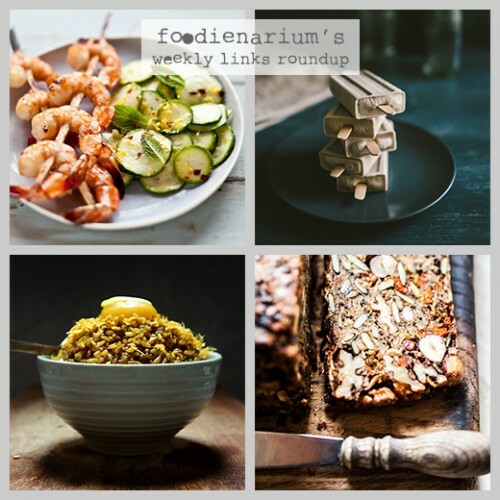 Welcome to Friday’s Foodie Links Roundup, Foodienarium’s weekly link roundup. This week you’ll find here amazing examples of food photography and great recipes that anybody should try. Banana and cashew cream ice pops – lovely ice cream recipe and amazing photos of the final product. Thai beef salad – beef, greens, cucumber, and spices…what could be better? Popovers – delicious quick bread. Curry fried rice – delicious asian way to cook rice. Iced coconut water americano – coffee with coconut water sounds cool! Scandinavian-style bread – an unusual bread without flour. Chili oil & blood orange grilled shrimp with marinated zucchini salad – great recipe to cook your shrimps tasty.